The BJP is supporting the shutdown while the Congress-led UDF is observing a "black day" on Thursday. 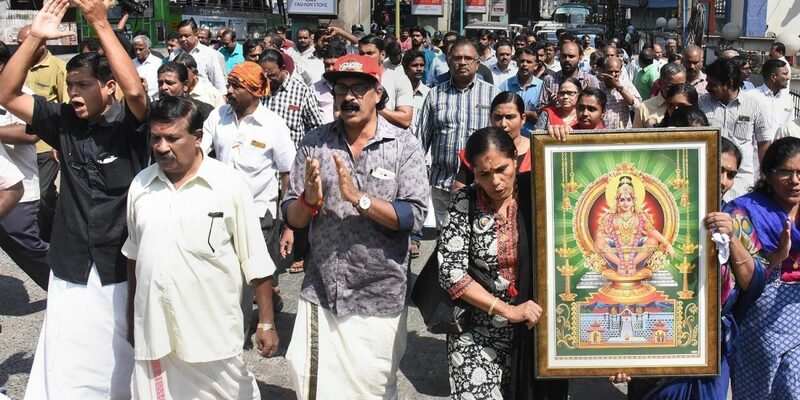 Thiruvananthapuram: A dawn-to-dusk 12-hour hartal called by Hindu outfits began on Thursday morning protesting the entry of two women of menstruating age into the Sabarimala temple of Lord Ayyappa . As per initial reports, auto-rickshaws and two-wheelers were plying at the railway station in the state capital and various other places. But in Kozhikode, protesters blocked vehicles and burnt tyres in the morning. The hartal, which began at 6 am, has been called by Sabarimala Karma Samithi, an umbrella organisation of various pro-Hindutva groups, spearheading protests against the Supreme Court’s September 28 verdict, and Antarrashtriya Hindu Parishad (AHP). The BJP is supporting the shutdown while the Congress-led UDF is observing a “black day” on Thursday. Two women, Kanakadurga (44) and Bindu (42), created history be stepping into the hallowed precincts guarded by police three months after the Supreme Court’s historic judgement lifting the ban on entry of girls and women between 10 and 50 years of age into the shrine of Lord Ayyappa, its “eternally celibate” deity. BJP and CPI(M) workers clashed near the Secretariat for over five hours on Wednesday as police used tear gas and water cannons to disperse them. A 55-year-old man, who was seriously injured in stone throwing at Pandalam, died late Wednesday night. Merchants’ organisations have said they would not cooperate with the hartal and keep shops and business establishments open. Meanwhile, state DGP Loknath Behara has warned of strict action if violence erupts during the hartal. Various universities, including Kerala, Mahatma Gandhi, Calicut and Kannur have postponed their examinations scheduled for Thursday.